Fill in the blank with a personality characteristic that you see in your spouse. Do not make a back-handed affirmation – that’s when you say something positive but then throw in a negative. 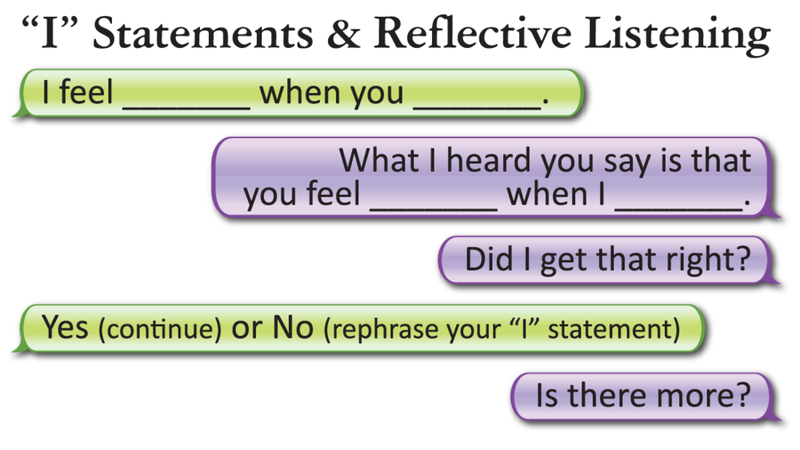 This is a combination of statements and responses that help the speaker communicate more clearly and the listener gain a better understanding of what the other person said.